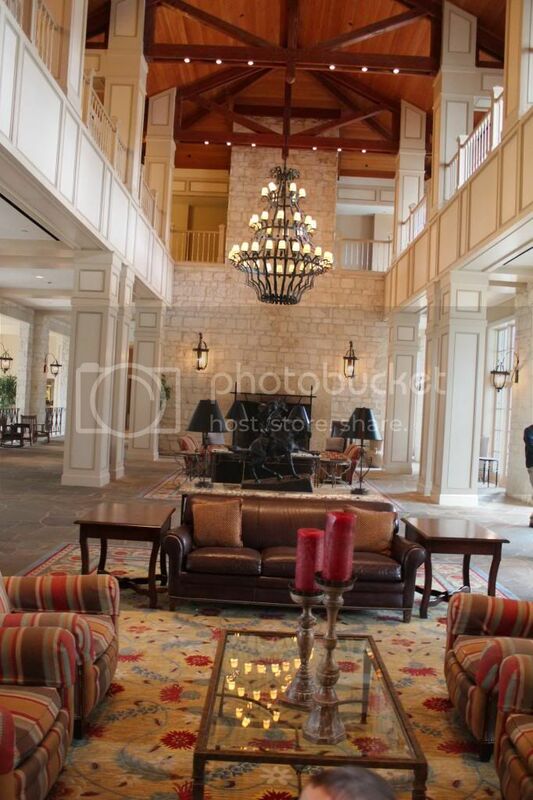 Hyatt Regency Hill Country Resort and Spa we visited, is located 20-minutes away from downtown San Antonio, Texas. Built on the Rogers-Wiseman Ranch, the resort brings a ranch atmosphere you can find around in décor, paintings, building design and even names. With 500 luxuriously comfortable rooms with elegant furnishings San Antonio Hyatt Resort welcomes families to experience the beautiful Hill Country. We arrived to the resort on Saturday morning, January 4th. It was warm and sunny, about 20C. After ice storm in Toronto, warm weather, cactuses and palms everywhere were like another world to us. 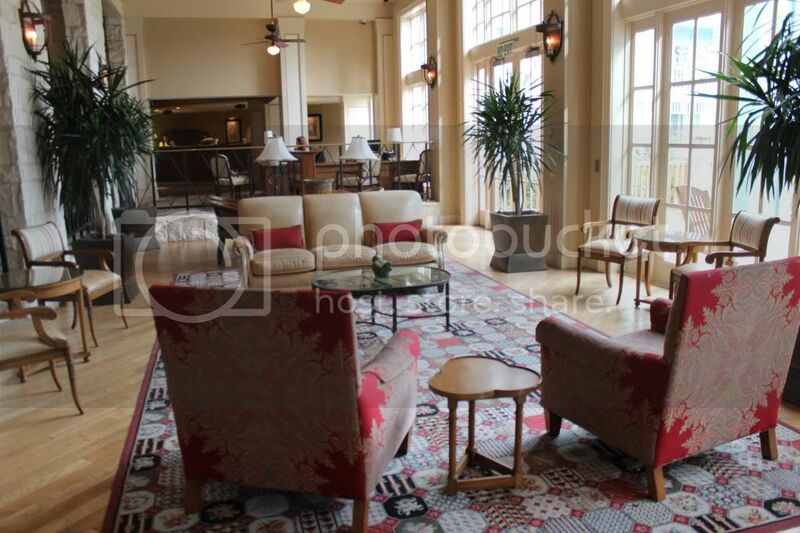 The lobby was very nice, styled in ranch theme with wood-burning fireplaces, beautiful furniture and chandeliers. Our room turned out to be on fourth floor with a long balcony what we really liked. A bedroom and living room were very big in comparison to rooms in other hotels we visited before. Lovely furniture, paintings, comfortable chairs in both rooms made us feel very welcome. Two TVs in each room were very helpful too, so we could watch what we wanted. The bathroom was quite big too with large mirrors, non-slip mat and full size body wash, soaps, shampoo and conditioner enough for three of us to have a nice bath time(forget about tiny soaps you cannot even hold in your hands). We definitely headed outside to check what was around the resort. The playground was the first Teddy wanted to play in, pretty similar to our Canadian ones, so my boy was happy to take a slide, run and climb there. 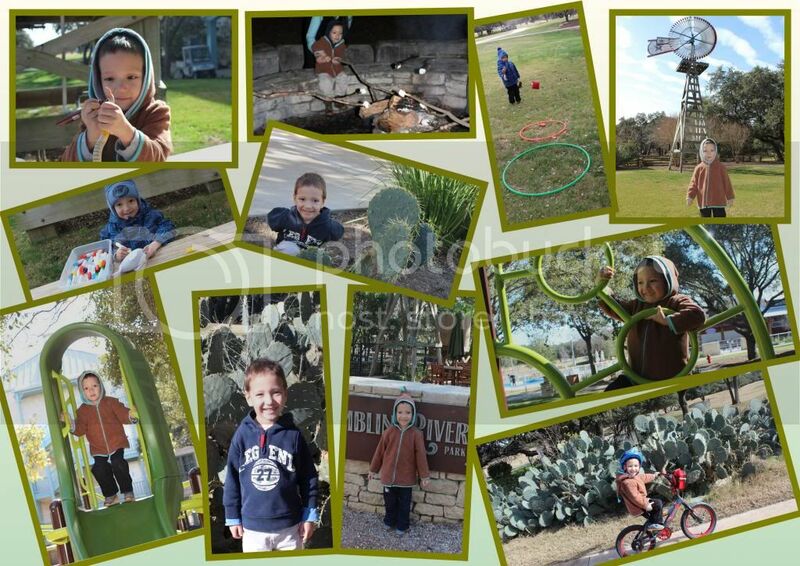 The Hill Country has the amazing Rowdy's Camp Hyatt for kids, that combines Texas traditions, crafts and fun activities for children ages three to twelve. While parents spend time at the spa, practicing golf or riding FlowRider® wave machine, kids enjoy playing, swimming, and learning new things about Texas and the Wild West. Good thing that children can join the camp for morning, afternoon, evening sessions and even for the whole day. Besides that Teddy participated in craft activities every morning, coloring stuffed animal and a snake. He also took bike rides every day, I think he enjoyed them a lot bicycling along the palms and cactuses. In the evening (while it was still warm outside) we all enjoyed eating S’mores by the Fire and then watching an outdoor movie. 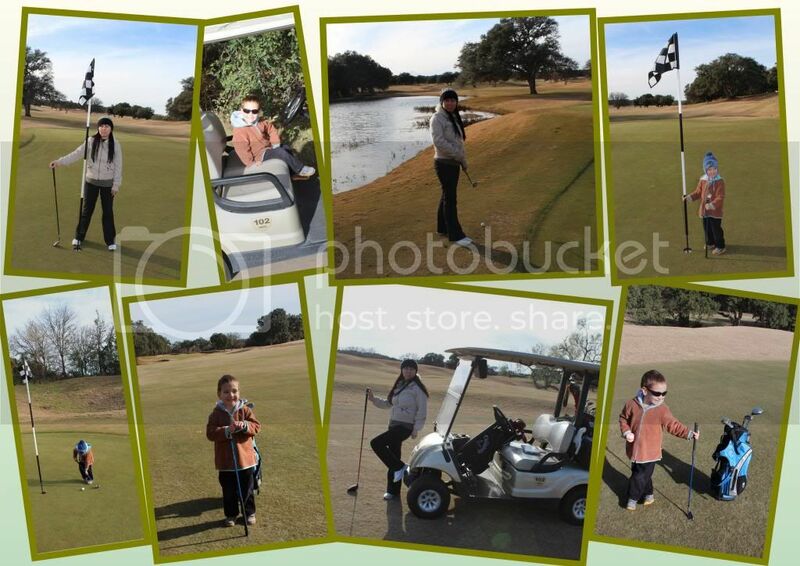 There are lots of activities and we did not have a chance to try them all because of timing and the season, but one of our favorites was Hill Country Golf. Featuring a 200-acre, 27-hole championship golf facility, the Hill Country Golf Club offers a fabulous family friendly golf program. From beginners to professionals everyone has a chance to play on the ranked the #1 Texas golf destination with the best equipment. Isn’t amazing that all family members can play together, regardless of golf experience and abilities? The most important that everyone can play with no exception, as the Hill Country Golf has the equipment for both kids and adults. Teddy’s first try with golf club looked like he was playing hockey, it took some time to learn the right posture, properly hold the club and other rules. Overall it was interesting and fun playing together. Windflower the Hill Country Spa is one of the best getaways to experience the luxurious delight of Texas herbs and wildflowers. Get healed, recharged and relax at the Texas ranch spa where you can find absolutely glamorous treatments like aunt Mary’s ranch remedy, Romance at the ranch, Texas heat retreat, Firm my hide with cactus wrap and extracts or Rancher’s skin-care treatment along with common spa favorites. My choice was morroccanoil hydration ritual, which took around 90 minutes of stone facial massage, a full-body exfoliation, orange peel scrub and then a full body warm massage with morroccanoil. After being winter-tortured my skin was finally healed. Other spa facilities includes sauna, a steam room, a pool, a snack bar and more, I had not even tried everything I wanted, may be next time when I decide to go on rejuvenation adventures. Hill Country is the first Texas hotel to have a FlowRider® wave machine on its property. The exciting new attraction simulates a “barrel-less” wave and if you visited Canadian National Exhibition in Toronto, you probably already familiar with this attraction and how it works. During our stay some people were surfing on FlowRider® even though it was about 10-15C outside. I can say it was really cool. 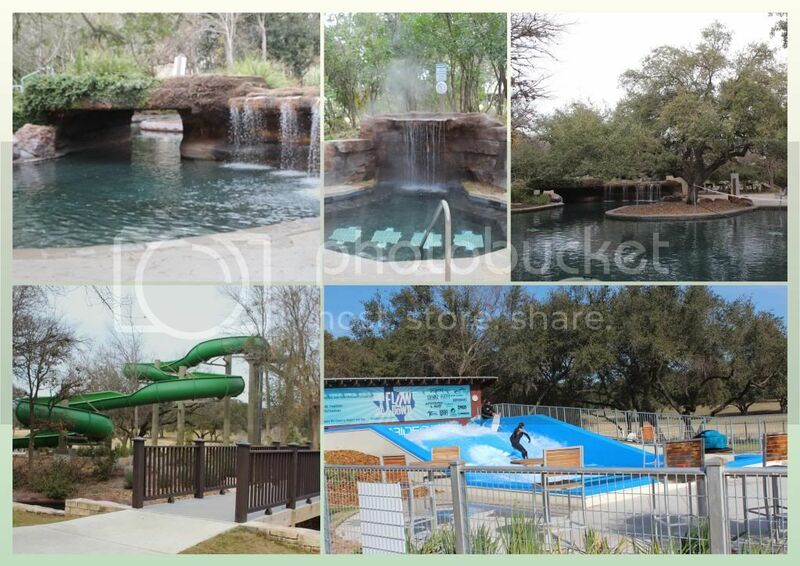 Other attractions to take a look at are 22 foot Water Slide and the Water Park witha 950-foot Ramblin’ River, an activity pool equipped with water volleyball and basketball, an adults-only Texas-shaped pool, 2 hot tubs and a zero-entry kiddie wading pool. You can swim, float make splashes and enjoy your water time. I like that all water facilities are close to each other, what is very convenient. Hyatt Regency Hill Country Resort was one of the best places to try delicious Texas and Mexican cuisine. There were different restaurants to visit in between activities during the day and beautiful fine dining in the evening. From locally sourced products it was fabulous culinary adventures to try steaks and burgers Texas style, chorizo grits, fish tacos, Tex Mex, nachos, salads, pies and tarts. The food served was always fresh and the staff was nice and friendly. The restaurants atmosphere and style are designed to give people the most comfortable environment so that people come there to enjoy delicious food and have great service. 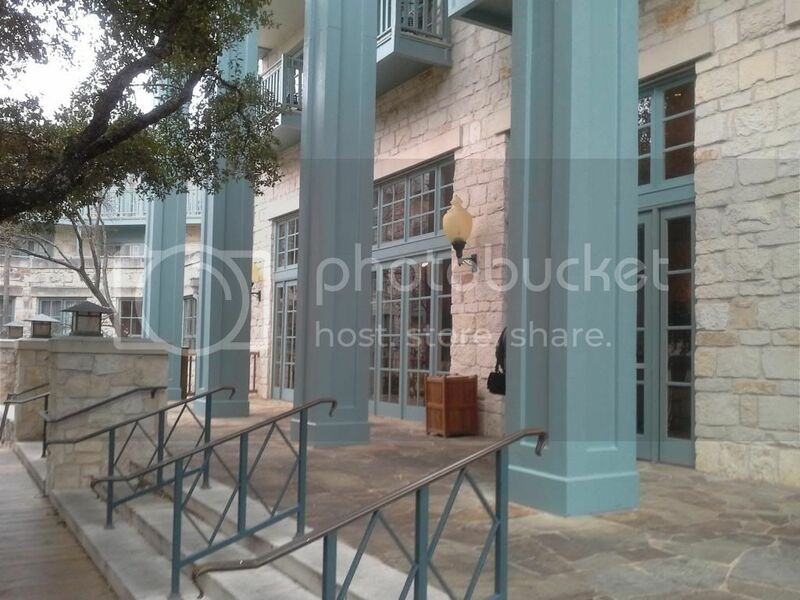 Overall Hyatt Hill Country is definitely one of the most exciting places to visit, their exceptional hospitality, fabulous amenities, golf club, spa and activities make it a fantastic family destination. That looks like a gorgeous hotel and such a great family-friendly place to stay. The only time I have ever been in Texas was RUNNING through the Dallas airport to catch a connecting flight haha. I would LOVE to get down there someday! Everything looks so fabulous! From the spa to the food, I would be in heaven! Everything looks amazing i would love the spa and the water fun the kiddies would love it to but also the food looks amazing. Wow, this place looks absolutely amazing! 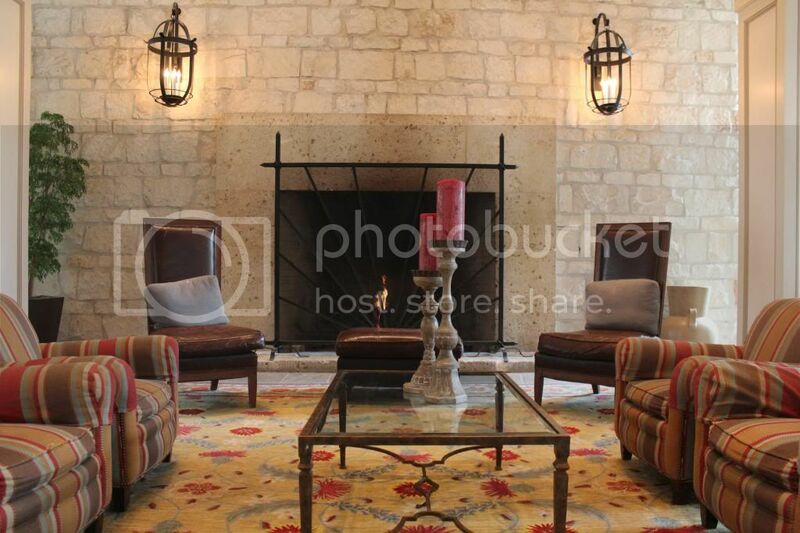 I would love to take a trip and lodge at the San Antonio Hyatt Regency Hill Country Resort! I love all the available activities for kids too. Looks like a great place! The interior is gorgeous. Oh I can't believe how full of activities this is. I love that FlowRider, and the lobby area is really gorgeous. It seems you can't beat the Hyatt! Looks like a great resort. 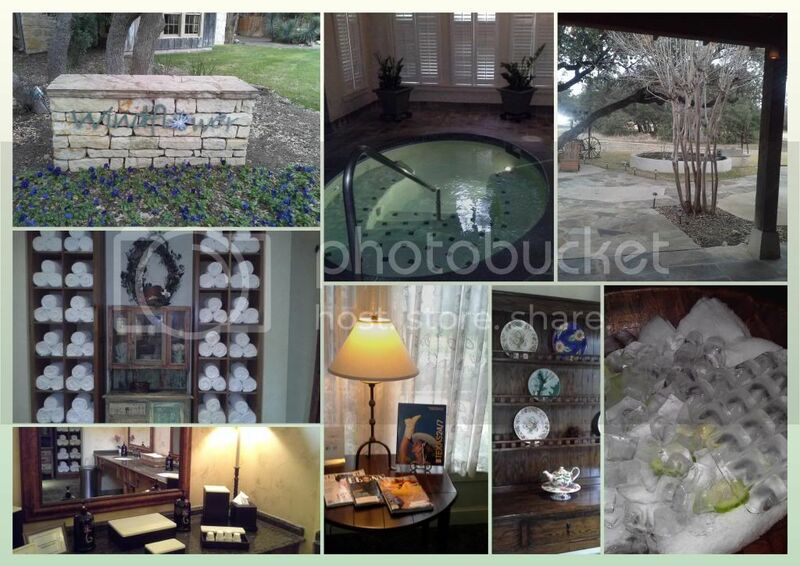 This looks more like someones home then a hotel/resort-it is beautifully decorated. It also sounds like a great place to take your children-plenty to keep them busy--sounds great for singles like myself as well. WOW that is one high class resort. Between the beautiful room, the surfing, the pool and the food.. oh my gosh. It's a little slice of heaven. Oh my ... that looks like the perfect place to take your special someone for as special Valentines getaway. I wish I lived closer... but who knows. We do a lot of traveling and I may be there one day. Wow, what a gorgeous hotel! The spa and the food look great. Wow, that looks amazing! 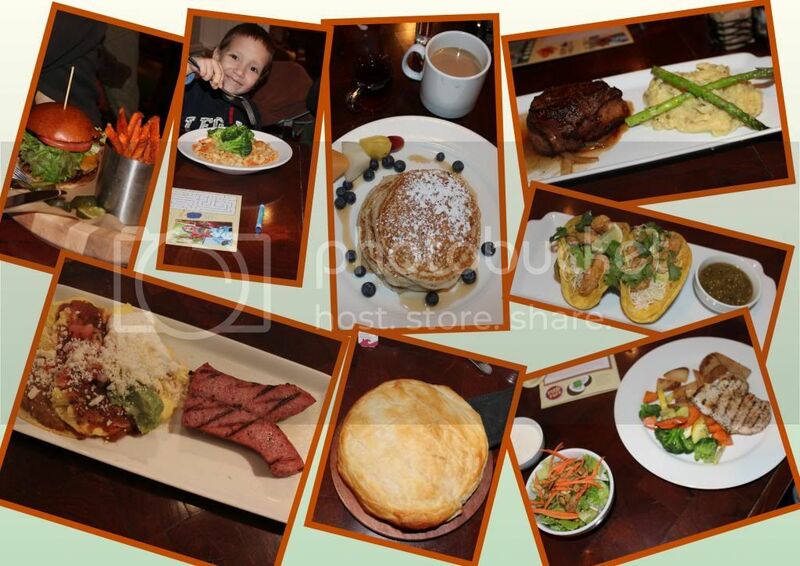 And the food looks to die for! Warm and Sunny - 20 degrees in the same sentence - wow. The place looks beautiful,I love the ranch look and that fireplace - who would not want to get cozy and read a book in there. I am glad you enjoyed your trip. Sounds like a great place and I'm loving all the activities for the kids. Whenever I travel I always have kids with me so I need to know that there are things for them to do. That looks like a very posh hotel! But not where it wouldn't be family friendly. My kids would go gaga over those water slides and surfing! My goodness, such a lovely and exquisite place - I'd love to visit them too! We stayed at the Hyatt Regency in Chicago and had a wonderful stay. Their customer service is amazing. Looks like the Hyatt there was good. I didn't know Canada used Celsius :) America is alone then? That place looks gorgeous! It would be great to relax there for a while! Tons of fun! I love San Antonio - I spent 15 years in Central Texas and it was one of my favorite places to visit regularly. What a great resort! You could go there to get away and work on your golf game! My husband would love it! What a great looking vacation spot. I would probably enjoy myself just hanging in the lobby. this looks totally gorgeous. Looks like you had a great time. I would like to be there to sit in the lobby and read. Wow, that Hyatt is gorgeous! Glad you had a great time! That is a gorgeous hotel! I've only ever been to the Hyatt Regency in Chicago. It was gorgeous, but smack in the middle of town, so no peaceful little areas like that. Sounds like a wonderful place to take your family! Food looks amazing!